Look at that giant power plant! 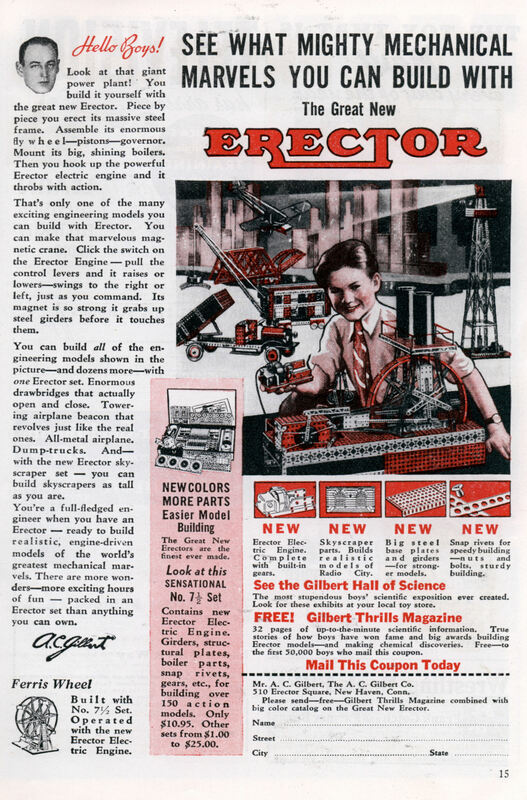 You build it yourself with the great new Erector. Piece by piece you erect its massive steel frame. Assemble its enormous fly whee1â€”pistonsâ€”governor. Mount its big, shining boilers. Then you hook up the powerful Erector electric engine and it throbs with action. That’s only one of the many exciting engineering models you can build with Erector. You can make that marvelous magnetic crane. Click the switch on the Erector Engine â€” pull the control levers and it raises or lowersâ€”swings to the right or left, just as you command. Its magnet is so strong it grabs up steel girders before it touches them. You’re a full-fledged engineer when you have an Erector â€” ready to build realistic, engine-driven models of the world’s greatest mechanical marvels. 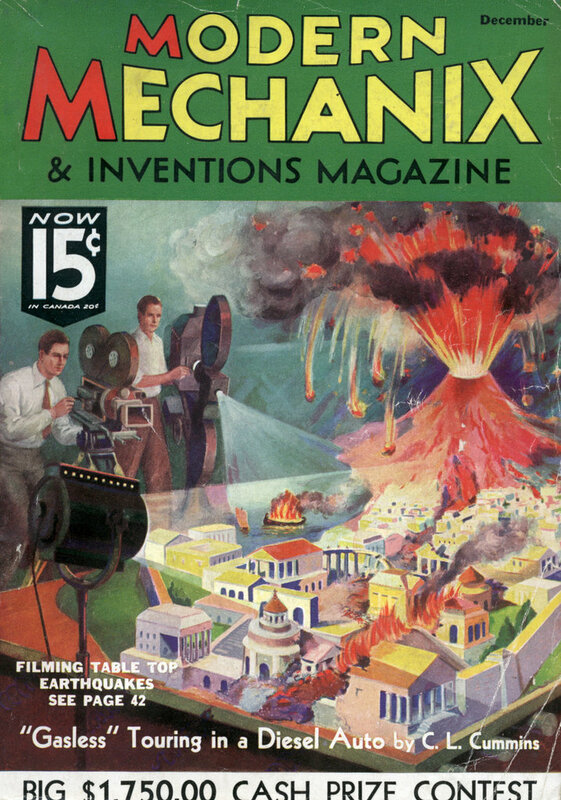 There are more wondersâ€”more exciting hours of fun â€” packed in an Erector set than anything you can own.